Marmalade makes her decision! 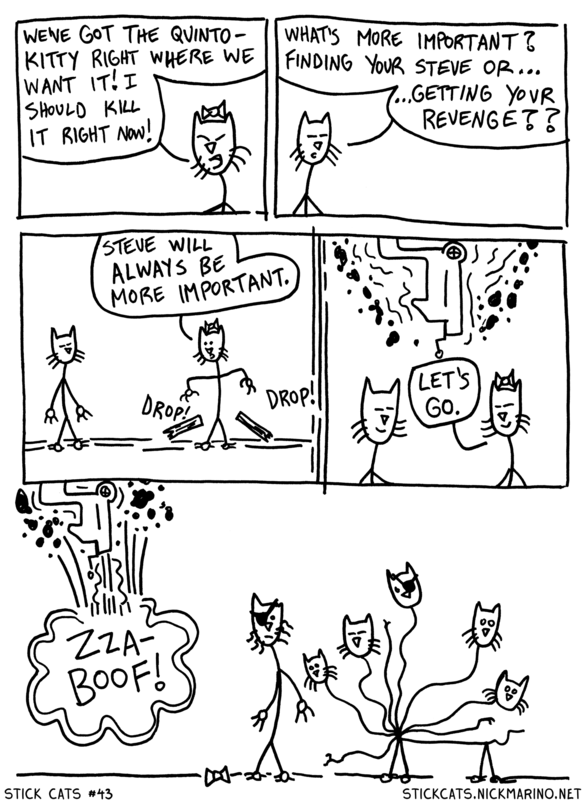 Friendship beats out revenge, as she leaves with Alternate Steve to go find her Steve and bring him home. So what's next for Amazonia and the Deco-Kitty? Find out on Monday! !